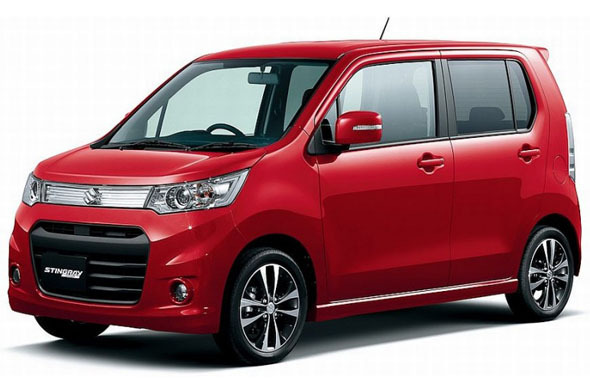 A few months ago we showed you the new Maruti Wagon-R that premiered in Japan and said it would be coming to India in 2013. Guess what? Maruti is apparently planning on launching the StingRay edition of the new Wagon-R, which is a pretty good-looking car as far as boxy cars go. You could call it old wine in a new bottle if you wish, but the thing is the Maruti Wagon-R is one of the most popular, practical family hatchbacks around, selling an average of nearly 10,800 cars a month over the past 12 months, making it the fourth largest selling car in India, after the Maruti Alto, Maruti Swift and Maruti Dzire. Also read: New Maruti Suzuki Wagon R premieres in Japan, may come to India! The Maruti Wagon-R sold over 14,600 units in March 2013. It recently got a minor facelift in January, with a new grille and bumper, while a switch to synthetic engine oils and engine remapping has ensured fuel efficiency has also increased by nearly 1 kmpl. The new Maruti Wagon-R StingRay variant would likely come to India in the second half of 2013, to directly take on Hyundai’s i10. Share your thoughts on this refreshed Maruti Wagon-R!